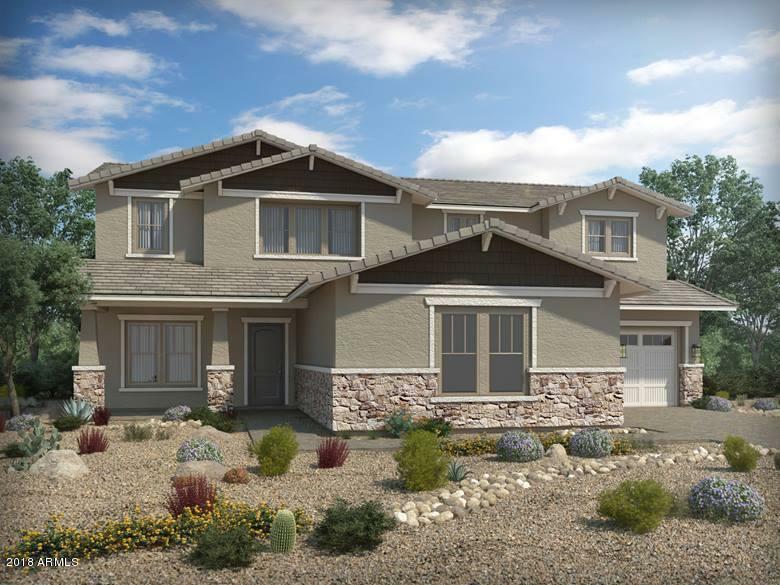 Brand NEW energy-efficient home ready @ July 2018! The gorgeous Bismarck will astonish you. The master suite is equipped with a sitting area that creates a private wing all to yourselves. 2 laundry rooms located up and downstairs for everyone's convenience. The spacious kitchen hasdouble ovens, a large island and is open to the great room, perfect for entertaining. New gated community in Eastmark offering a splash pad, 7,400 sq ft. community center, 4600 sq ft pool, basketball courts, multiple shaded parks and turf. Known for their energy-efficient features, our home help you live ahealthier and quieter lifestyle while saving thousands on utility bills.